Mobile Internet, which was synonymous with luxury – until recently it is now a very common and convenient way to access the global network and to surf internet. Continuously falling prices of the service make more and more people choose to use mobile or wireless network. Following the wake of growing demand for mobile internet devices, manufacturers are trying to create mobile broadband to maximize the easier and more enjoyable communication for us. 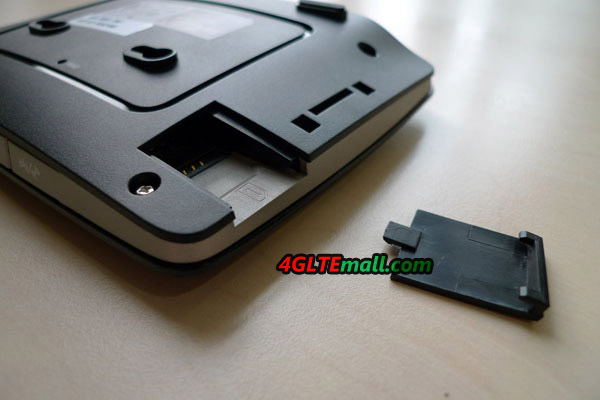 One of these manufacturers is Chinese company Huawei, which launched the HUAWEI B683 3G WiFi router. It could connects to 3G mobile network via LAN or SIM card based on HSPA + standard. 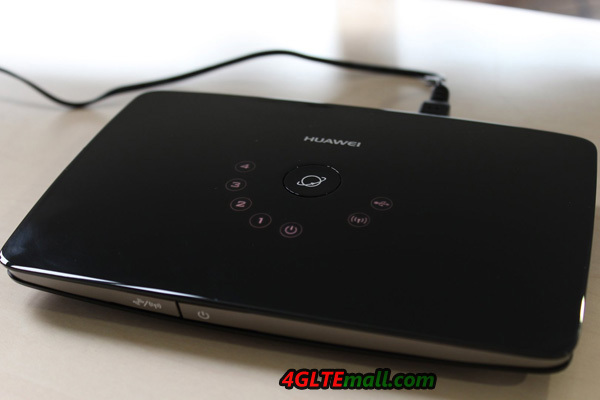 Huawei B683 3G Wirelss Router stands out from the “crowd” of other routers, its unusual, modern design. The outside plastic is used in glossy casing (so-called “piano”), which unfortunately can be seen virtually every fingerprint. If clean it up, it looks very shining. In the box, we can find the router power adapter and user manual for instructions. Manufacturer unfortunately not provided us information about the gadgets that can connect to the device. And users have to look for an external antenna themselves and buy on their own. The device is taken out of the box practically ready for use. To use the mobile Internet, we only need to put a SIM card into and snap, and plug the snap into B683 Router. After power is on, a 3G LAN / Wi-Fi router starts working. Usually, you don’t even need to set up a profile , but if you are unlucky to do this, it’s simple and easy, the configuration wizard helps you through the whole process step by step, you just follow up the wizard and click finish. All finished and it will auto connect to internet. If we want to use more advanced functions of the router, you have to delve into the administration panel. Do not fail the people who want to have access to a large number of network settings. Regarding the stability and speed of data transmission – during the test, they are not a big deal. Only when the Wi-Fi connected the three devices simultaneously, this is not enough for the maximum device quantity that HUAWEI B683 could connect. It could support total 32 users to share the network. 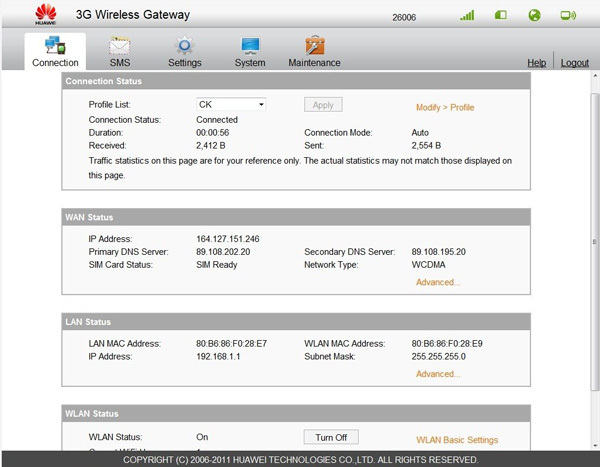 Mobile internet worked without delay, the HUAWEI B683 Wireless Router could found and correct 3G network in a few seconds. The infrastructure of the operator at the test, unfortunately, did not allow for “squeezing all the juice” from the router. The test speed that I was able to achieve a 2.05Mbit/s (download) and 0.04Mb/s (upload), even the peak speed declared by the manufacturer could reach 28MB/s (download) and 5.76Mb/s (upload). I suppose it’s due to the network environment. Huawei also has equipped its product in several additional and very useful features. One of them is the ability to send and receive SMS messages from the admin (of course, if our operator gave this functionality). 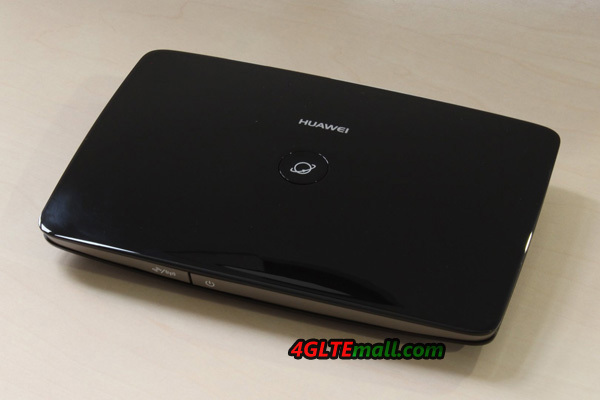 Huawei B683 3G WiFi Router is the ideal solution for those who want to create a small network. The device is so functional that allows you to use both mobile internet and desktop – through the telephone line. Unfortunately, the device also has disadvantages. Manufacturer begrudged accessories for the router – in the standard package, there is only power adapter, user guide, then users couldn’t anything more. Anyhow, we still give good praise on the router performance, because the case is well fit and makes a solid impression. It is a pity that the manufacturer has applied the glossy, new material. On the other hand, this type of equipment will not touch rather too often, so the prints should not be a problem. The most important is that when we test it, it keeps working at stable status, which is key point users concern. 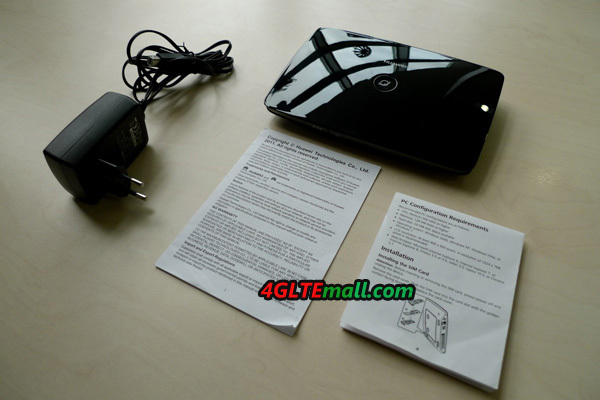 Actually, HUAWEI also has other 3G Wireless Routers, such as HUAWEI B970b HSDPA 3G WiFi Router, we will introduce next time. I am interested in one of these devices. If I only have a sim card with data, and this device, what else will I need to connect to the internet? Is the a Modem/router or just a router? Usually, after you plug your SIM card to the router, it would auto connect to network, when your devices such as PC, Smartphone connect with the WiFi, then you could surf the internet. 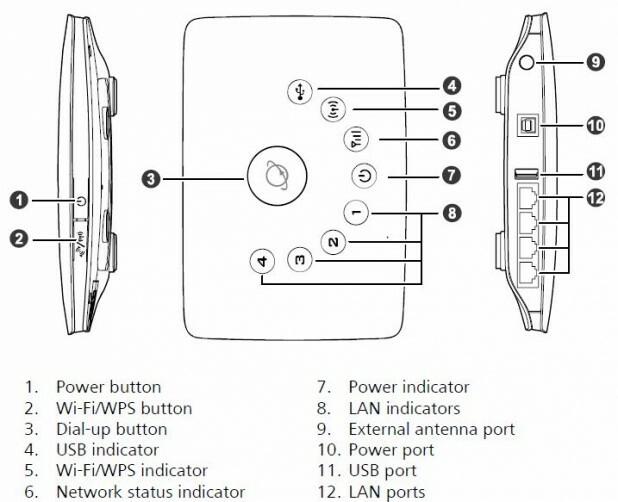 HUAWEI B683 is a router, the USB interface in this router is for USB Storage, users connected with the router could share the files in the USB. Hope my answer help you. thanks. Well, I just went to the shop and bought the unit… I could not wait..lol. Thank you very much for your promptly reply! Just tried and it works ! Et voilà ! And it works like a charm ! As I am on a macbook air i used the the command k ( connect to the server in the finder menu) and put smb:// myrouteradress . I am sure you know how to connect with a PC ! ooops : forgot to tell it was a 2 TB HDD ! I have used this device in car and I did the following test: I listened to online radio on a 300km trip.I started a ping to a server and I let it run all the trip. I had 1% packet loss and I know the online radio buffers the audio for about 5 sec but it only disconnected from the network for periods between 5-30 sec about 5 times. I used a 2dbi antenna with magnetic mount on top of the car and I can say this unit performs great. The only problem I have is with the power supply. I see it draws 2A so I bought a powerful car adapter with USB jack and a USB-A to USB-B cable to power the unit but it won’t work. So I tried to make my own cable with smaller AWG for more power, I tried with 2 USB-A ends because the adapter has 2 sockets with 3A total output. Still no results. I think the power adapter has some kind of resistance or something on the data pins because I didn’t measure anything on those. I found out that the ground is connected with -5V and I did that also, to no avail. So if anyone has a pinout for the wall adapter I’ll be very grateful. I am absolutely sure the cable is only 2 wires with +/- 5V, I cut it just to make sure there aren’t any other smaller wires. I measured also the data pins and it’s 0V on both, I tried to see if there is any continuity between those and the power pins but nothing there. So this is very weird for me, why it won’t work? I don’t want to use a power converter to 230VAC then a wall adapter to 5VDC because it takes space, it’s noisy and unpractical and I want to use this router in the car for work in the field, for kids tablets and also my plan is unlimited so it’s better than consume the data plan from the mobile. I have one of these and I have a 10GB cap p.m. I do not have bit torrent anymore on my laptop and for some reasons, I’m using 10GB in less than 2 days. Even when the laptop is idle, the download rate is abt 75MB every 20mins. Laptop is clean from malwares & viruses. I also checked if there is any other people connected to the network but nothing suspicious. Can anyone advise why my data is being used so quickly? Is it because of a setting on the router? 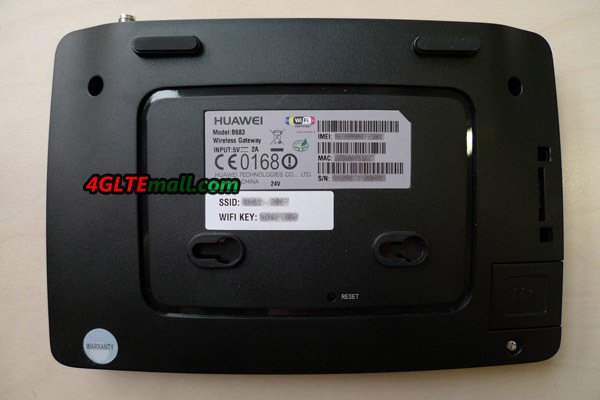 how to use this huawei b683 without sim? internet will come only from dsl or broadband connection and it will serve as hub & wifi router..
It’s a 3G Router that means it must work with SIM. 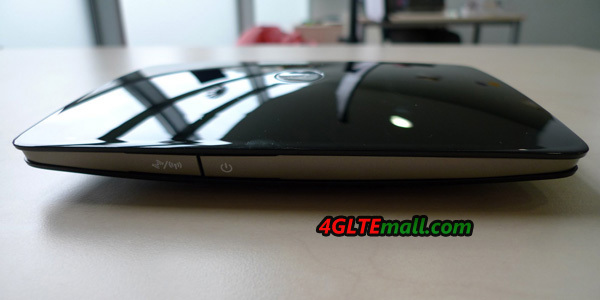 Hello, can this router be upgraded to a 4G LTE router, if i update the firmware. 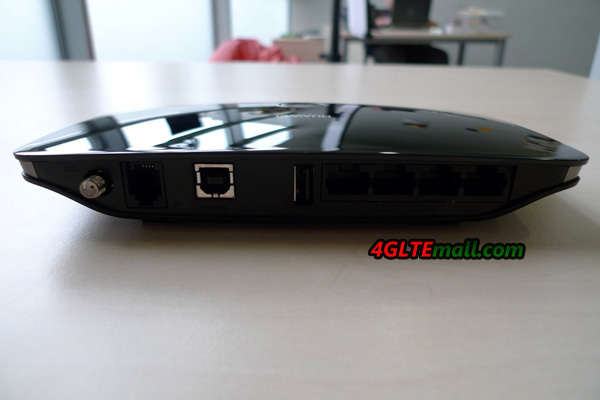 Hi, the huawei b683 can’t be upgraded to 4G Router.